Originally from Belfast, Philippa moved to Scotland at the age of 10 and went on to study Medicine at Glasgow University. Prior to her election to Parliament, Philippa was a Consultant Breast Cancer Surgeon in Crosshouse Hospital, Kilmarnock for 19 years, where she redesigned the service and established reconstructive breast surgery. Philippa also designed the accreditation standards for the audit of breast cancer services across Scotland and helped develop regional cancer networks to establish peer review and encourage the sharing of good practice. In the early 1990s, Philippa spent 18 months as a medical volunteer at a UN sponsored hospital in Gaza. She is a passionate supporter of Palestinian rights and returned to Palestine in 2016 and 2017 to support the development of improved breast cancer care and services. Philippa actively campaigned for a YES vote in Scotland’s 2014 Referendum through ‘Women for Independence’ and was one of the founders of ‘NHS for YES’. In 2015, she stood as an SNP candidate in the General Election and won her constituency of Central Ayrshire; turning a Labour majority of 12,500 into an SNP majority of 13,500. She was re-elected in June 2017. Philippa is the Shadow Health Spokesperson for the SNP at Westminster and, in the last Parliament, sat on the Health Select Committee, where she regularly heard evidence supporting the warnings she voiced during the Referendum about what the Coalition, and now Conservative, Government, are doing to the NHS in England. She continues to speak out against the underfunding and outsourcing of NHS services in England, and promotes a more integrated and patient-centred health service; as is the aim in NHS Scotland. Philippa has been vociferous on the subject of the Junior Doctors, the removal of training bursaries from Nurses and other health professionals, and the implications of Brexit on health. During this Parliamentary term, Philippa has also spent many months campaigning for split payments to be made the norm under Universal Credit to help prevent the benefit from exacerbating domestic abuse and financial coercion. In 2016, Philippa was honoured by the Saltire Society when she inducted as one of the 'Outstanding Women of Scotland' on their 80th anniversary. I am based in London 4 days per week, but my team are in place to assist you locally on my behalf. They are available at the constituency office Monday to Friday to help constituents with any Westminster related issues. They are hugely experienced in terms of casework and are available during our office opening hours.  MPs in Scotland only deal with the following 'reserved' matters: Benefits and Social Security, Immigration, Defence, Foreign Policy, Employment, Broadcasting, Trade and Industry, Nuclear Energy, Oil, Coal, Gas and Electricity, Consumer Rights, Data Protection, and the Constitution. Our constituency, generally speaking, covers the area from Prestwick to Irvine, crossing over North and South Ayrshire council areas. We have included a constituency map below for you to view. It can also be downloaded as a pdf by clicking here. You can use your postcode to identify your local MP here. I hold regular surgeries where you can drop in to speak to me about an issue, no appointment necessary. To best serve my constituents, my surgeries rotate around the constituency. Click here to see our upcoming surgeries here. 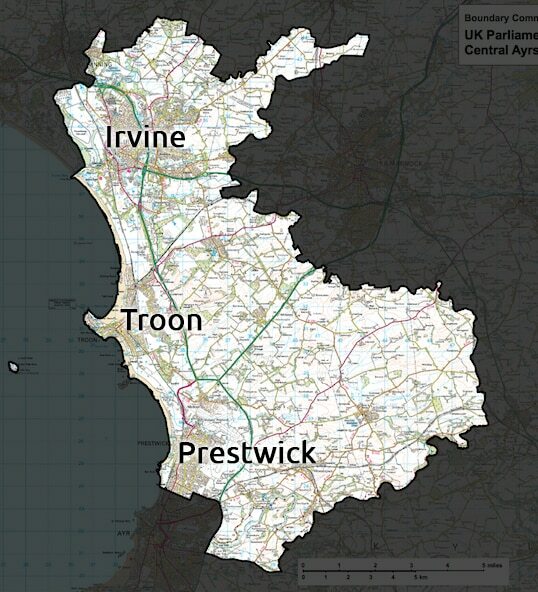 Our constituency, generally speaking, covers the area between Prestwick and Irvine, crossing over North and South Ayrshire council areas. We have included a constituency map below for you to view. It can also be downloaded as a pdf by clicking here.